Can Postictal Behavior in Dogs Last All Day? Post-ictal? That sounds like something I'd like to roll around in. No, post-ictal is not the period following your dog's rolling around in some strange animal's feces. That can be called post-ickiness, or stronger language. Post-ictal refers to a seizure's aftermath. If your pooch suffers from epilepsy or another condition causing seizures, you know how scary they are. Recovery can take a while. The first time your dog experienced a seizure, you probably rushed him to the vet. Not only was he treated there, but your vet ran tests to figure out what caused the episode. These would include X-rays and blood work. Your vet also questioned you about your dog's previous behavior. Little things that didn't seem significant at the time, like Fido licking odd objects or snapping at imaginary flies, might indicate some brain disorder. It's possible your dog suffers from epilepsy, a condition interrupting the brain's normal function, or diseases, such as Lyme or cancer. Seizures also can result from poisoning or trauma. 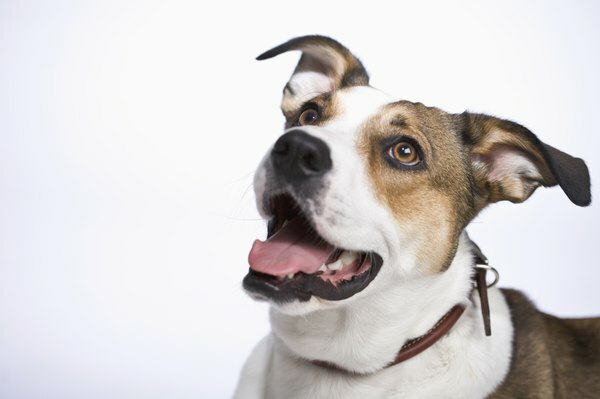 Your dog might have one experience, never to be repeated, or seizures could occur regularly. If seizures are mild and occur rarely, your vet might not prescribe medication. If they're frequent or severe, anticonvulsant drugs, such as phenobarbital, might be given on a daily basis. The period before the seizure occurs is the pre-ictal phase. Some people with epilepsy know a seizure is imminent because they experience an aura, a feeling or some trigger that precedes the event. Dogs might have similar feelings, but can't express them and can't prepare themselves like people can. You must learn the signs of the pre-ictal phase for Fido. He might become very nervous, or try to hide. He could start pestering you, because he is afraid and wants you to comfort him. Physical signs include drooling, shaking, or inappropriate urination or defecation. This phase might be extremely brief or it might last for hours. The ictal phase consists of the actual seizure. It can last just a few seconds or hours. You might not notice a petit mal seizure -- your dog just seems "out of it" for a brief time. A grand mal seizure literally means "big bad," and the English translation gives you a better idea of what to expect. The dog might fall over, lose consciousness, have convulsions, foam at the mouth or become stiff. If Fido doesn't come out of this seizure within 5 minutes, take him to an emergency veterinary hospital. As scary as it is, remember that your dog isn't in pain. How long the post-itcal phase lasts varies from dog to dog and from seizure to seizure in affected canines. It could last for a few hours, or for several days. During this phase, your dog is very tired, the result of the extreme brain activity manifested in the seizure. Some dogs temporarily lose vision. Normally friendly dogs might become aggressive. He still might seem disoriented, continue to salivate or move around restlessly.